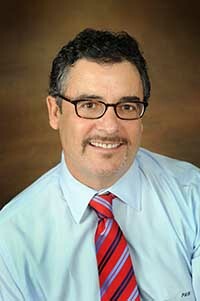 Tax Lawyer Paul W. Raymond helps individuals and businesses with their tax controversy matters. A 30+ year tax attorney can make all the difference for clients needing expert and competent legal representation for an IRS Audit, or offer confidential counsel and legal advice to those being investigated by the IRS Criminal Investigation (CI) Division. 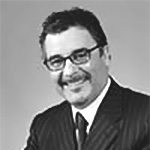 Paul also routinely counsels and represents tax payers facing California personal audits, business-related audits, sales tax audits, payroll tax audits and help with tax liens and levies. Call Orange County Tax attorney, Paul W. Raymond at (949) 891-0305 to help you with tax issues & tax controversies, tax liens and levies as well as tax audits. Are you looking for solutions to your tax problems? Call me, let’s talk. You may be overwhelmed with tax debt, maybe facing an IRS audit or may have questions about how to address issues with the taxation of foreign investments or controversial offshore accounts. In any of these or any related issues, an Orange County Tax Attorney will be able to provide you with the guidance and representation you need. Tax Attorney Paul W. Raymond understands the extensive amount of stress and anxiety – not to mention financial or even criminal liability – that may be associated with many tax issues. Our goal is to provide workable solutions that address your particular problems swiftly and effectively. Why Hire a Tax Attorney and not an Accountant or CPA? There are many benefits to working with a lawyer to handle your tax matter. When you have a licensed tax attorney representing you in your dealings with the IRS or the many California tax agencies, you will enjoy certain rights and privileges that only come with legal representation. You will immediately be protected by the Attorney-Client Privilege, which protects any and all communication between you and your attorney. You don’t have this protection with an accountant or CPA. All communication with a tax lawyer is strictly confidential. A tax attorney cannot be forced to disclose confidential information to the IRS or any other opposing party. Many issues confront persons and businesses facing tax agencies. Most, if not all, of the many businesses and individuals that I’ve encountered over 28 years of practice, are glad to deal with someone who specializes in tax controversy. They prefer not to go into any type of tax matter (audit, appeals, court, collection) without a knowledgeable legal representative on their side. Those who choose to deal with the taxing agencies on their own often regret the decision. Often they are unaware of their rights or the possible outcome of their case. Those issues include, for example, what can happen to you in the event of an audit-examination, both civil and criminal, as well as your taxpayer’s rights and remedies in the event of an adverse audit. The message here is fairly obvious – it is important and wise to educate yourself about these issues before making decisions regarding any of these issues. I strongly encourage people to have at least an initial consultation with an attorney to find out what your rights and obligations are before you make decisions that will affect the rest of your life, as well as the lives of others. Are you Facing a Tax Audit – or Worse? There is nothing worse than having the Internal Revenue Service or another taxing authority such as the California State Board of Equalization (SBE), the California Franchise Tax Board (FTB), or the California Employment Development Department (EDD) chasing after you. However, as a taxpayer, you have rights, including the right to consult a tax lawyer to protect those rights while relieving much of the stress involved in facing often scary tax issues alone. 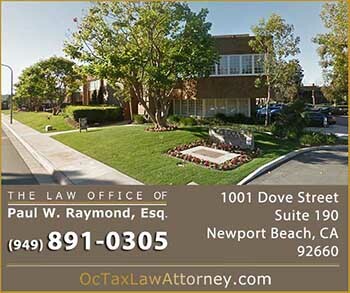 Orange County Tax Attorney Paul W. Raymond fully understand that dealing with a tax problem, whether it is a tax audit by the IRS, a business payroll tax problem with the EDD (Employment Development Department), or perhaps a California sales tax audit by the SBE (State Board of Equalization) can be a very stressful and anxious experience. Retaining an experienced tax lawyer will often minimize the taxes which my clients owe while significantly reducing their stress by taking the weight of dealing with the State or IRS on a day-to-day basis entirely from my clients shoulders. If you or your company is facing a tax audit, a tax attorney can represent you at that audit, or in any tax appeal that may develop from that tax audit. Moreover, a tax litigation attorney can represent you in Tax Court, or any other appropriate court which may include the District Court, the Court of Federal Claims, or even the Bankruptcy Court if it should come to that. If you find yourself with a tax problem with a California tax agency a tax lawyer can represent you in California Superior Court or before the Employment Development Department, Franchise Tax Board, or State Board of Equalization. Tax Fraud or Tax Mistake? 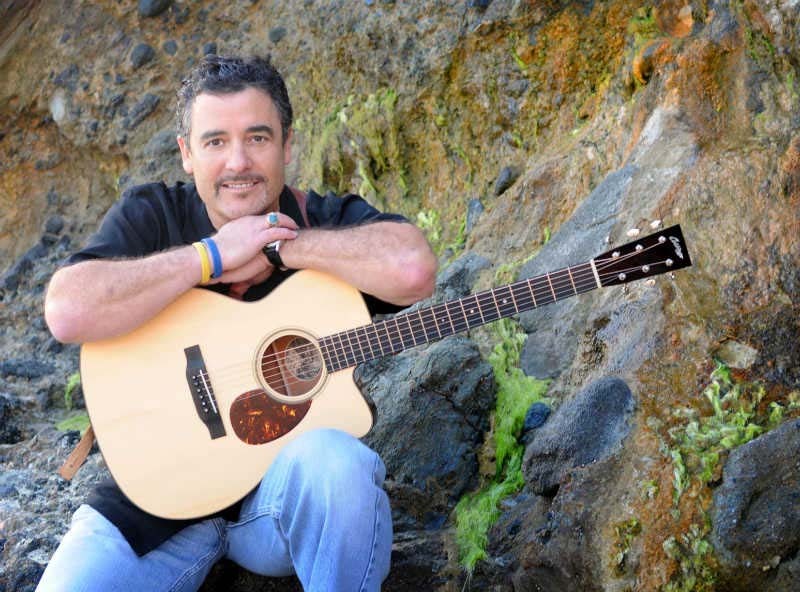 Owe The State of California or IRS More Than You Can Pay? A tax attorney can also represent you if you have a tax payment problem where you owe more taxes than you can possibly pay in one lump sum, and would like make an Offer in Compromise or work out an Installment Agreement to pay your taxes. Moreover, an experienced tax attorney can represent you in a variety of tax problems including the elimination or reduction of tax penalties and wrongful tax levy actions. If you have a tax problem, a tax attorney is almost always your best source of help where attorney-client privilege allows you to fully explore your options and then make a plan of action to put this stressful situation behind you. 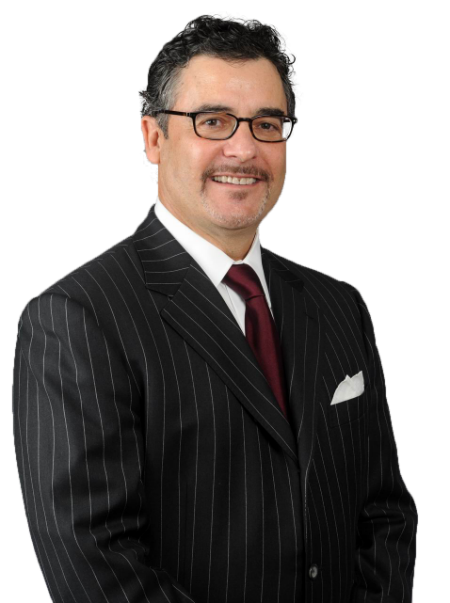 Orange County Tax Attorney, Paul W. Raymond has 30+ years of experience and the real world ability to help clients navigate through these dangerous and complicated matters. We always strive to take our clients’ best interests to heart and always view our clients as individuals rather than “legal cases” to be resolved. Trust us to vigorously fight to protect your rights while guiding you toward a fresh financial future, free of future tax liability and stress.